DragonForce are an English power metal band from London, formed in 1999. They are known for fast guitar solos, fantasy-based lyrics, and electronic sounds in their music to add to their retro video game-influenced sound. DragonForce (formerly known as DragonHeart) was formed in 1999 by guitarists Herman Li and Sam Totman. The two later found singer ZP Theart through an advert , drummer Matej Setinc, bassist Steve Scott and keyboardist Steve Williams. Sam Totman and Herman Li had former experience in the band, Demoniac. Initially the band called themselves “DragonHeart”, released a demo, toured with Halford, Stratovarius and headline their own shows under that name. The band later found that another metal band with this same name already existed and renamed to DragonForce in 2002. Drummer Matej Setinc left the band in December 1999 to continue his studies in Slovenia, he was replaced by Didier Almouzni. The band parted ways with Steve Scott in November 2000 and Steve Williams in early 2000. Steve later rejoined and left once again in December 2000, days head of the band’s tour with Halford and Stratovarius. Diccon Harper left the band in 2002 but played on DragonForce’s debut album Valley of the Damned as a session player. 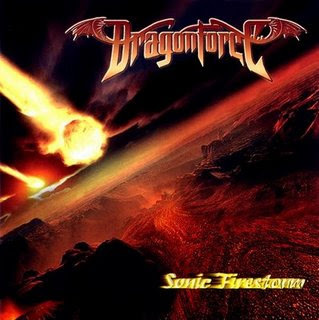 DragonForce recorded their first demo in 2000. It was an independent release, however it was enough to make them one of the most popular independent power metal bands in the UK at that time. 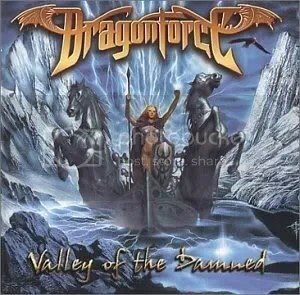 Their song “Valley of the Damned” was released as their first single shortly after they changed their name permanently to DragonForce. A promotional video featuring live footage from their tour around Europe was released along with the song. The song was also a huge success on MP3.com where it charted at #1 for 2 weeks as the most downloaded song. Shortly after the demo was released keyboardist Steve Williams and bassist Steve Scott both left the band and were replaced with Ukrainian born Vadim Pruzhanov on keyboard and British born Diccon Harper on bass. Steve Williams later went on to form power metal band Power Quest. In 2003, the band signed to Noise Records and began recording their debut full-length album, Valley of the Damned. The title track, re-released in promotion of the album, it is one of the most known DragonForce songs to date and is a staple of their live performance to this day. The band’s tour for Valley of the Damned lasted until 2004, with the tour ending in Tokyo Japan. The tour was much longer than the band’s recent tour for “Valley of the Damned” and featured many more headline shows than the previous. The band toured with many well-known metal bands such as W.A.S.P and Iron Maiden. The band underwent various lineup changes before settling with the six current members. The band was introduced to the mainstream with their third album Inhuman Rampage, released in 2006 after signing with Roadrunner Records in UK, USA, Canada, France and Australia. The song “Through the Fire and Flames” is one of their most famous songs and is featured on the game Guitar Hero III: Legends of Rock. Lindsay Dawson of Herman Li and Sam Totman’s former band, Demoniac, appeared as backup vocalist for this album. Before the release of the album, bassist, Adrian Lambert, left the group to raise his newborn son in November 2005. He was replaced with Frédéric Leclercq for the remaining of the Sonic Firestorm Tour. Frederic later became an official member of the band in January 2006. He was also featured in the band’s music video for their second single off Inhuman Rampage, Operation Ground and Pound. Inhuman Rampage is a common favourite among DragonForce fans due to its heaviness and complexity. The ‘Through the Fire and Flames’ single reached gold disc status in USA and Canada. The band toured with Disturbed and Slipknot throughout the summer of 2008 on the Rockstar Energy Metal Mayhem Festival. The band returned in the Fall with the release of their 4th studio album, Ultra Beatdown. The first track and first single, “Heroes of Our Time”, was nominated for a Grammy Award for Best Metal Performance on December 3, 2008, losing out to Metallica with their song “My Apocalypse”. A short version of “Heroes Of Our Time” is also featured in the video games Skate 2 and NHL 10. On January 22, 2009, the music video for their song “The Last Journey Home” was released to the Xbox Live Community a week before it was released online. 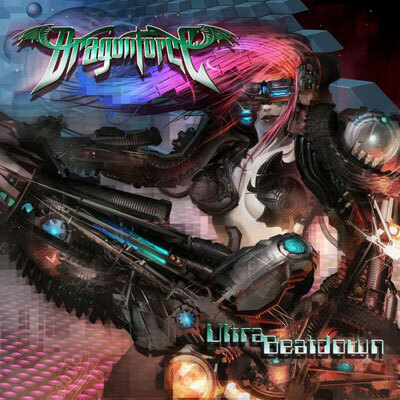 DragonForce will carry out the Ultra Beatdown tour in Latin America, North America and Europe. They were supposed to play in Latin America in May 2009, but the tour was postponed to late 2009. They will first perform at the Two Days a Week Festival in Weisen, Austria on September 4. Then, they will perform in several cities of Canada and United States from September 15 to October 11, with special guests Sonata Arctica and Taking Dawn. The next tour will be in Germany, from October 16 to October 30, followed by a single live performance in Luxembourg on October 31. Then, they will go to Latin America to perform in Curitiba, Porto Alegre, São Paulo, Mexico City, Santiago, Buenos Aires and Bogotá from November 6 to November 14. The final part of the tour will be entirely in the United Kingdom, from November 19 to December 12. Herman Li has stated that DragonForce will stop touring in December, spend time at home for Christmas, and then will begin writing and recording a new studio album scheduled to be released in 2011. On February 22, 2010, the band re-released their first two albums, “Valley of the Damned” and “Sonic Firestorm.” Valley of the Damned included newly remixed and remastered tracks while both albums included bonus tracks, updated packaging and DVDs featuring live footage, commentary, and more. Both albums were also released in a box set which featured a t-shirt, a card of guitar picks, and an inflatable guitar. On March 8th, 2010, it was announced via Roadrunner that DragonForce had parted ways with vocalist ZP Theart and would now be seeking a new frontman. “It is with great regret that DragonForce announce a parting of the ways with singer ZP Theart. This is due to insurmountable differences of musical opinion but the rest of the band sincerely wishes ZP great success with his future projects. While the creative core members have begun writing the fifth album, they have also started a worldwide search for a new vocalist. We are looking for a powerful, melodic singer to write a new chapter of DragonForce with us.” -Herman Li. This story was removed the same day, but officially confirmed by the band a day later in a press statement that also contained a link to request an audition. Controversy occurred in late 2006 shortly after the Inhuman Rampage tour went into full swing. The band had many technical difficulties with the guitars, which at the time was the most “stand-out feature” in their music. The band also drop-tuned their instruments to E flat tuning for the first time. This, coupled with low-quality recordings of the live performances that were subsequently uploaded to the Internet, created rumors of the band speeding up their music in-studio due to being unable to perform it live at such speeds, although these rumors were disproved by subsequent tours where the band performed their music at the same speed as it appears on the albums. Herman Li stated, “Graspop Metal Meeting of 2006 was [a] total disaster. The technician we had back then didn’t even tune the guitar, and no monitoring was done properly. We didn’t hear anything…”. He also said that most of the Inhuman Rampage tour was bad overall due to technical difficulties.